in 2017, bjarke ingels group (BIG) revealed plans for a new micro-school in new york. now, a year later, the first photographs of the project have been revealed with the school term well underway. 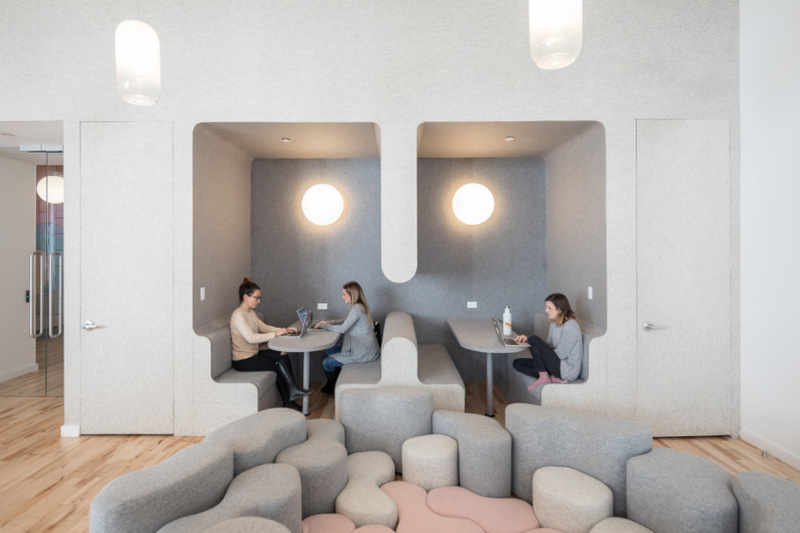 according to BIG, the design for WeGrow — the first school of office-sharing brand WeWork — seeks to ‘undo the compartmentalization often found in traditional school environments and reinforces the significance of engaging kids in an interactive environment’. conceived as a ‘school universe at the level of the child’, the interior comprises a field of super-elliptic objects, which together, form a ‘learning landscape that’s dense and rational — yet free and fluid.’ modular classrooms, tree houses, and a vertical farm have been designed by BIG to promote an inclusive and collaborative learning environment. meanwhile, acoustic clouds, natural materials, and neutral colors hope to create a calm setting focused study. most of the partitions inside the school are shelves raised to the level of the child, allowing natural light to reach deep inside the building. 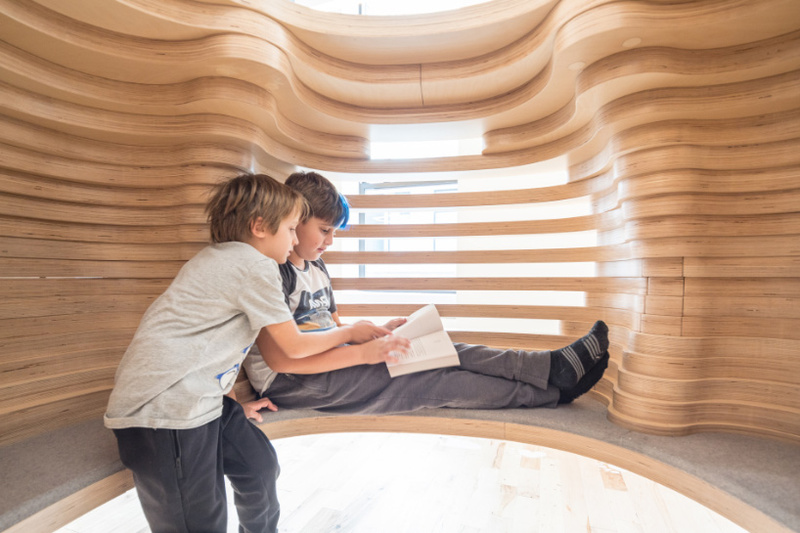 three different shelving levels for each age group curve occasionally to create various activity pockets and give a feeling of comfort, safety and community, while allowing teachers to have full perspective of the space at all times. meanwhile, each learning station includes furniture with details and materials designed to optimize the educational environment. 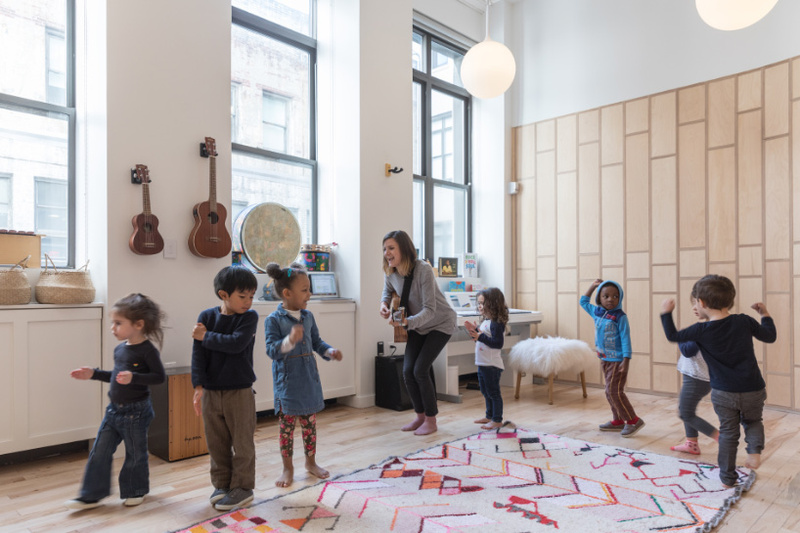 now open, the first WeGrow is located in new york’s chelsea neighborhood and will welcome children ages three through nine, adding ages two and older next year. the school, which has multiple scholarship programs available, is open to WeWork members, employees, and local communities.